I was in Wuhan, China last year on a work trip and although I had my film camera with me (because I would be in Japan after) I didn't take many film photos in China. However one morning I did take photos of the cityscape view from the picture window in my hotel room, because I was in one of the highest floors I had a great view. In the photos I deliberately overexposed the shots to heighten the effect of the early morning sun illuminating the smog. 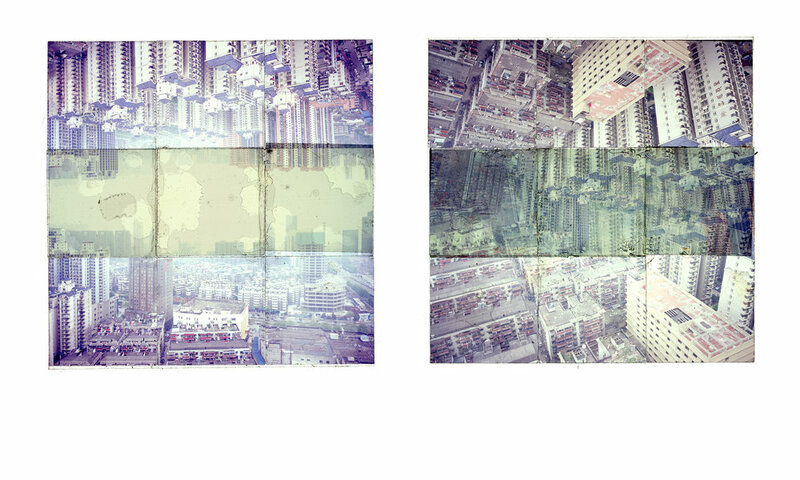 The photos had a ghost-like quality and when I collaged them together, the compositions look like scenes from an apocalyptic, broken down Matrix. Not sure what I'll do next with these. I only have these two pieces, so I won't make a series. They feel like they're complete right now. I can see these as a diptych on a wall, or printed together side by side on a single print.